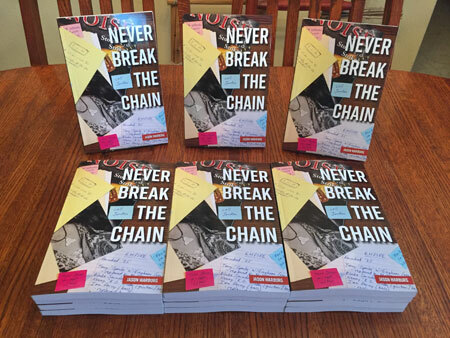 Personalized signed copies of Never Break the Chain are available from the author for a flat fee of $20, postage and handling included, shipped anywhere in the United States. Please indicate requested personalization in the “Message” section as you check out from Paypal. All purchases shipped first class in a padded envelope. For overseas orders, please e-mail jw(at)jasonwarburg.com to make arrangements.